The Hispanic Organization for Progress and Education sponsored their second annual Women’s Health Conference at the Riverview Inn on Saturday, to close out the National Women’s Health Week. The primary goal of the conference is to help minority and low income women with self esteem issues, and to instill in women the knowledge that they are not alone, that other people are out there willing to help them. 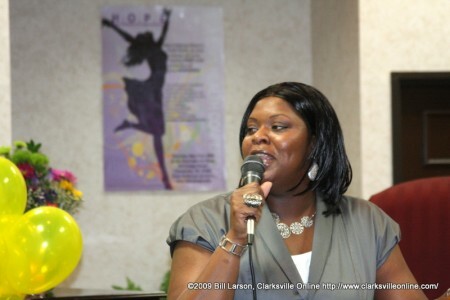 A Multi-Cultural Coalition of leaders from the community and the Clarksville NAACP will meet with the Clarksville-Montgomery County Director of Schools, Mr. Michael Harris, at 3 p.m. Monday, January 26, to discuss the recent policy disseminated system wide by email that prevented a significant majority of students from viewing the Historic Inauguration of President Barack Obama. Many students and parents assumed they would watch the historic inauguration of President Barack Obama in class Tuesday but were shocked, disappointed and upset about the majority of classes in which the inauguration wasn’t shown.